128 Daryl or legendary scout? Those are good scouts. I'm really torn. Liking the legendary, liking Daryl. Still a tough choice. 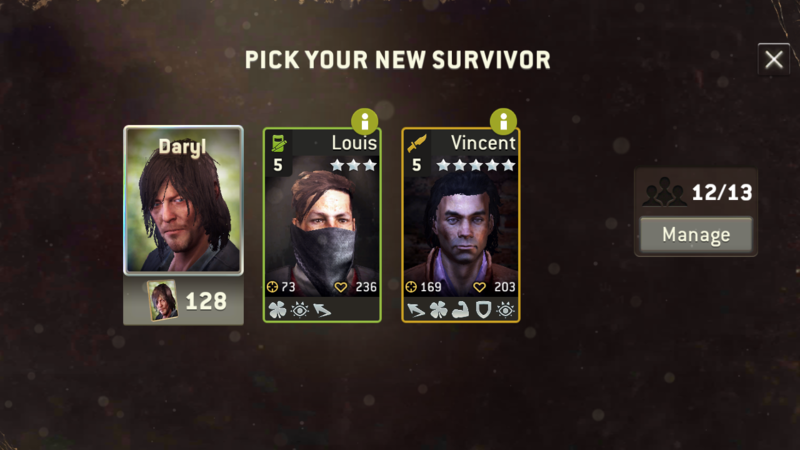 If the scouts had been crappy the legendary would have been my preferred, and though still a VERY good addition your current scouts are leaving the option for Daryl open. Hoping others will have better help here, because whatever is not chosen it's both a shame to not choose. In my opinion traits aren't bad on your scouts but they're still b squad without dodge and retaliate together so I'd go with daryl tokens. Yowsers that's a tough one. At least for me. I'd say this is a preference choice. Loving the Daryl tokens, I use Daryl a lot, so that would be very helpful to get me even further with him. But the scout has very nice traits too, lacking retaliate which I like. How well stocked are you in the scout department is the question you need to ask yourself, followed with how much you use Daryl, and compare those two considerations. 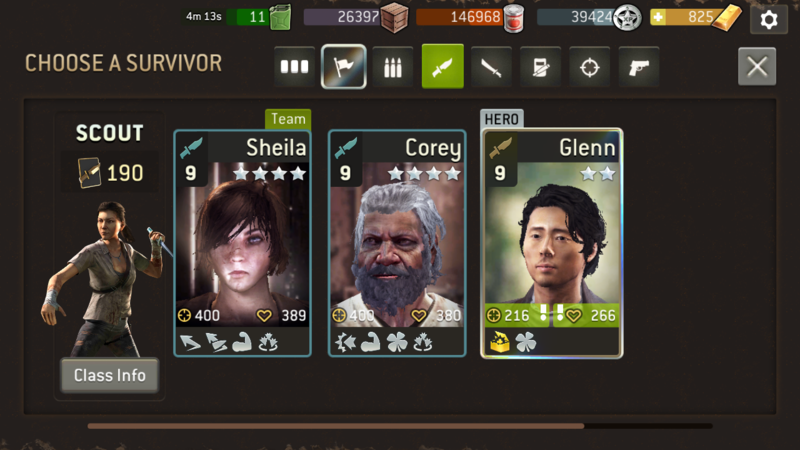 Well i have Glenn and 2 blue scouts. Then again I have no legendary in any class yet. But I do use Daryl very much. Man that is hard. Post a screen of your scouts maybe, to have a look at the traits? Glad the thread helped you make a choice that you feel comfortable with! Yeah, Daryl token for sure. As Daryl token are pretty scarce right now. For me, scout/melee survivor without retaliate are useless. I refuse to invest into a scout without the retaliate trait. I'd go with Daryl.